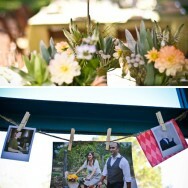 Love all the quirky details from Jenny and Jeff’s wedding, which was sent to me by Choco Studio. I particularly adore the succulent centerpieces, which are SOOO DIY friendly. They last forever and look so great stuffed in all sorts of unique little containers. I hope you enjoy! Happy Tuesday! I can't believe this is a real wedding. It's so chic! I love everything she is wearing. So fabulous! ooh. I love the centrepieces and the bride's dress. So many amazing details! That's really new to me! The mask and all. Very Irish country-ish. I'm always searching for original and stylish centrepieces so very pleased to see this! 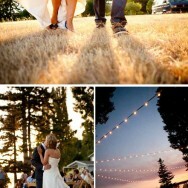 this wedding is breathtaking. absolutely love the details. I love the monkey tails in the bouquet, and her headpiece is so over the top!